Reach associations and other direct pay groups with integrated card and check payment options. Robust payment routing, scheduling, and reporting capabilities configured per case. The BMP platform supports your enrollments, and opens access to more groups. Create and customize step by step enrollment site(s). 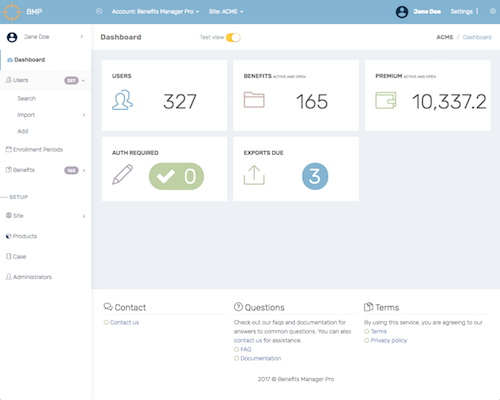 Features include: self and assisted enrollment, highly customized theme and content, statement of benefits, customizable profiles, and support for a wide variety of enrollment rules. Provide realtime participant support and co-browsing with our integrated live chat widget. We feel it's the best live support and assisted enrollment tool available to drive great customer service and results. Reach associations and other direct pay groups with integrated card and check payment options. Robust payment routing, scheduling, and reporting capabilities configured per case. Create and reuse products that support complex carrier rules and compliance requirements. Our Multi-App product engines support voluntary and core products applications. Insurance and benefit providers maintain products in a central library. Producers select products from the library, and drag-n-drop to organize per case. 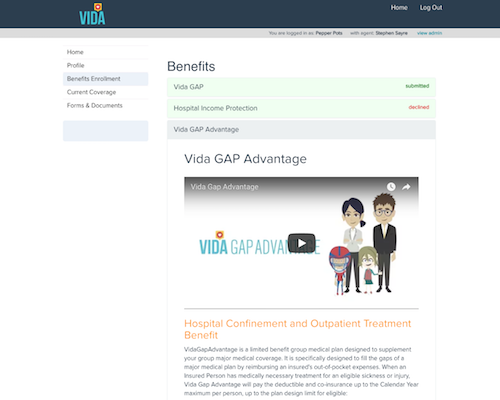 This model reduces administrative burdon on providers and producers, and simplifies case setup. Upload or update a census with import files containing just a few records, or thousands. Several available reports and data exports support your enrollment including: enrollment activity, deduction summary, carrier EDI, and ad-hoc exports. Hierarchical accounts can create and administer multiple enrollment sites. 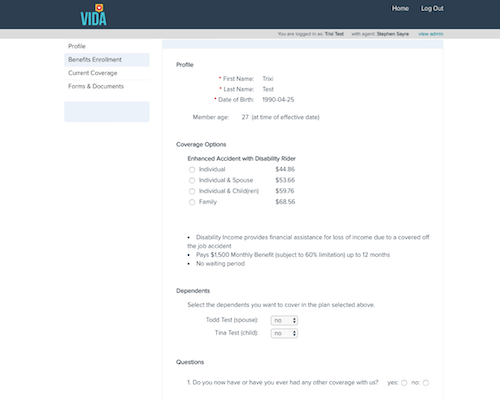 Each enrollment site is completely independent, and customized for the needs of the client, carrier(s), and enrollment. Enrollment sites may be copied and adjusted as needed to provide for the quick creation of an enrollment portal. We are designers, developers and technologists passionate about our craft, and the software and services we produce. Our team strives to provide a flexible and effective enrollment platform that empowers brokers, delights clients, and reaches markets not accessable with other solutions. Copyright (c) 2015 - 2018, BMP; all rights reserved.